Győr, 18 August 2016 – The heat is on today as the engines are ready to roar at the racetrack in Gönyű, home to the Formula Student Hungary event, for the seventh time in a row. 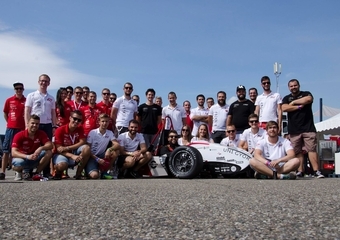 As in previous years, the main sponsor of this highly acclaimed motorsport competition for university students is AUDI HUNGARIA MOTOR Kft. 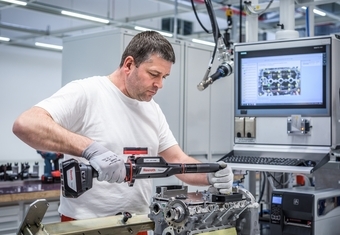 • Arnd-Robert Sponagel will be the head of vehicle production as of 01 July. 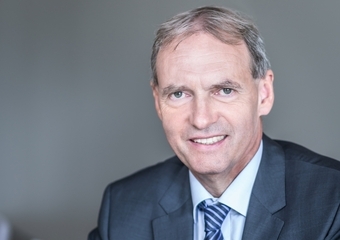 • His predecessor Gerd Walker will move on to new responsibilities at AUDI AG in Ingolstadt. 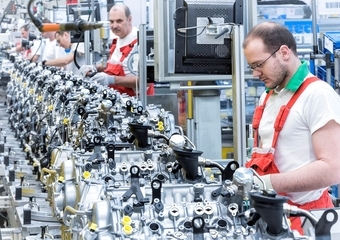 • Over 100 different types of engines can be manufactured at the new department • Chairman of the Board of Management Peter Kössler: “In our new activity we rely on the long history of Audi Hungaria in engine production.” • Satisfying customer demands is granted for 15 more years after series production has been ceased. Győr, 10 June 2016—From now on, the Emergency Department of the Aladár Petz County Training Hospital in Győr is upgraded with new, state-of-the art devices and life-saving equipment. 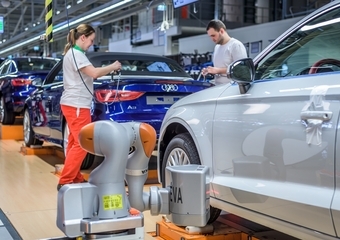 The modernization of the infrastructure of the department was supported by AUDI HUNGARIA MOTOR Kft. with HUF 9 million. 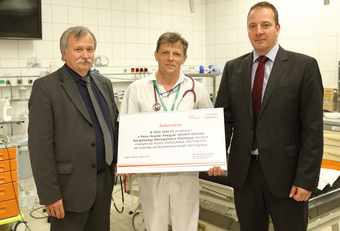 The equipment were “handed over” to Dr. László János Tamás, the Director of the Győr hospital and Dr. Márton Sztermen, Head of the Emergency Department by Péter Lőre, Manager of Communication and Government Relations at Audi Hungaria. 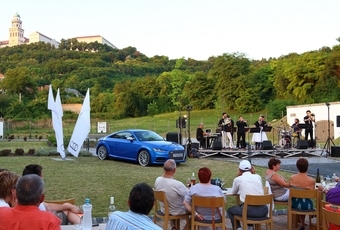 Győr, 6 June 2016—The annual program series “Jazz Summer in Pannonhalma” is being organized for the 10th time this year, and the main sponsor of the event is Audi Hungaria for the 6th time now. Győr, 31 May 2016—Evers since Audi Hungaria was established in 1993, it is a devoted sponsor of the cultural life of the region. 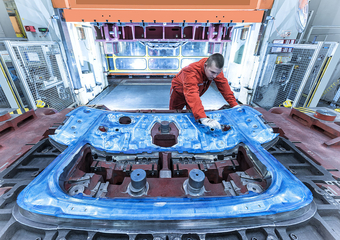 In the spirit of social responsibility, the engine- and vehicle manufacturer of Győr signed a three-year sponsorship agreement with the Philharmonic Orchestra of Győr in 2015. As part of this cooperation, Dr. Elisabeth Knab, Member of the Board of Management for Human Resources of AUDI HUNGARIA MOTOR Kft. 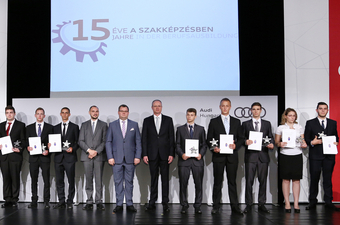 presented two glacier white Audi A3 Limousines to the orchestra, both of which were manufactured fully in Győr.